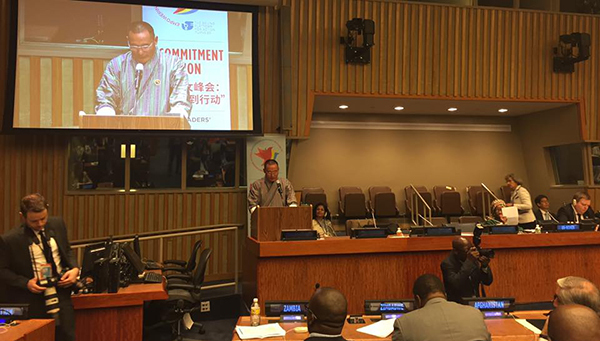 The Prime Minister, Tshering Tobgay took part in a series of side events of the UN SDG Summit-2015, a press release from the Prime Minister’s Office say. Lyonchhen attended and made a commitment statement at the Global Leaders’ meeting on gender equality and women’s empowerment. He also said with the adoption of the 2030 agenda, the international community has a unique opportunity to ensure that addressing gender issues remain at the forefront of sustainable development. Lyonchhen reiterated Bhutan’s commitment to the accelerated implementation of the Beijing Declaration and Platform for Action, among others. He said Bhutan’s experience with GNH and its index would provide useful lessons for the Inter Agency Expert Group on Sustainable Development Growth Indicators under the UN Statistical Commission as they consider a proposal for a Global Indicator Framework for the SDGs. Lyonchhen also participated in the High Level Interactive Dialogue on the theme, ‘protecting our planet and combating climate change’. 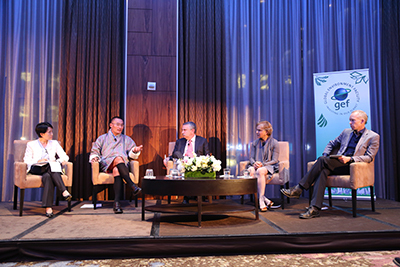 The Prime Minister also participated as a panelist in Global Environment Facility event.